The week of the United Nations General Assembly (‘UNGA Week’) in New York is always a busy, exhausting, but rewarding time as delegates, advocates, and luminaries from every corner of the world converge in Manhattan to discuss the most pressing international priorities. The YSB team used this meeting of the minds as a backdrop for our latest Friends of YSB gathering, which brought together passionate leaders from diverse fields to discuss the future of the social business movement. With attendees from five continents and varied backgrounds including entrepreneurs, artists, investors, journalists and more, the event benefited from a broad set of perspectives and led to a lively discussion and many great connections. The evening kicked off on a high note with a preview of the recently released album “Legion of Peace,” a collection of songs inspired by Nobel Laureates by Grammy nominated singer-songwriter Lori Henriques and produced by Monica Yunus, who both joined for the evening’s festivities. 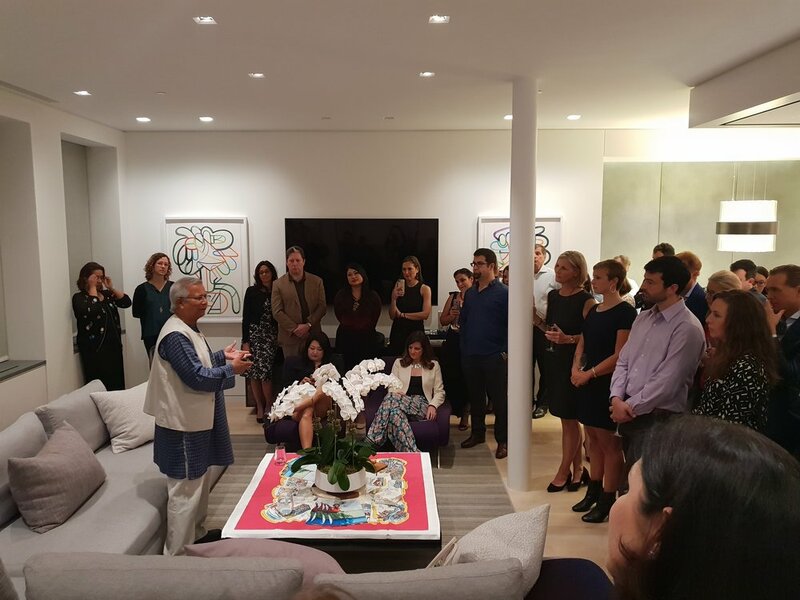 The group then heard from Prof. Yunus on his own journey through the world of microfinance and social business, and the many motivations and discoveries that brought him to found numerous social businesses and to work to spread the concept through YSB’s philanthropic venture fund model. The group had a number of great questions on the YSB model, plans for future work in North America, and how each of us can get involved in the social business movement. We are excited to see the many attendees inspired to create change in their communities and around the world! Meet the Eight Startups selected by the MAN Impact Accelerator for its second cohort!